BOSTON (Jan. 8, 2019)–Neuroscientists at Tufts University School of Medicine, in collaboration with colleagues at Yale University School of Medicine, have discovered a new molecular mechanism that is essential for maturation of brain function and may be used to restore plasticity in aged brains. 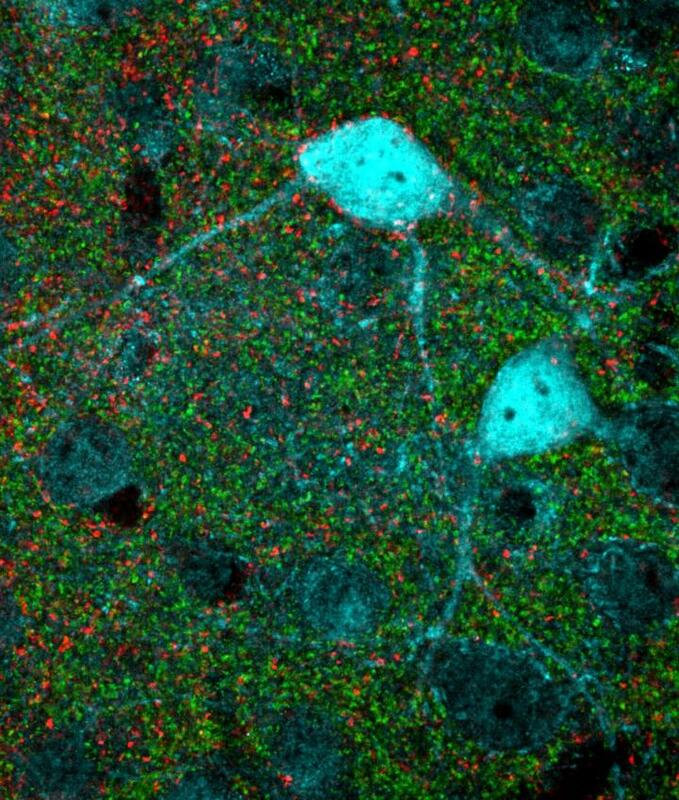 Unlike previous research that broadly manipulated brain plasticity using approaches that affected the entire brain, this study targets for the first time a specific molecule acting on a single type of neuronal connection to modulate brain function. This restores the brain’s ability to rewire itself. The human brain is very plastic during childhood, and all young mammals have a “critical period” when different areas of their brains can remodel neural connections in response to external stimuli. Disruption of this precise developmental sequence results in serious damage; conditions such as autism potentially involve disrupted critical periods. Ribic likens inhibitory neurons to a dial controlling when brain plasticity can occur. Plasticity is needed during early development, as the function of different brain areas matures. Mature function is then ‘cemented’ into place by molecules like SynCAM 1. The work was supported by the National Institutes of Health’s National Institute on Drug Abuse (R01DA018928), National Eye Institute (R01EY015788, R01EY023105, P30EY026878), and National Institute of Neurological Disorders and Stroke (U01NS094358), and by the Knights Templar Eye Foundation.